Some of the hairstyles below will take more time than others, but the more effort you put it, the more satisfaction you’ll have when you see yourself in the mirror with the most gorgeous scarf hairstyle that you did it with your own hands! 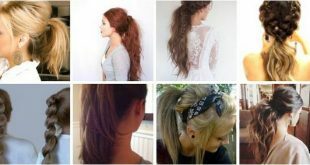 The first one is the easiest of all hairstyles for medium to long hair length. All you need is a scarf, hairspray and teasing comb. Just tease your hair at the crown, tie the scarf under the back of the hair and you’re done. 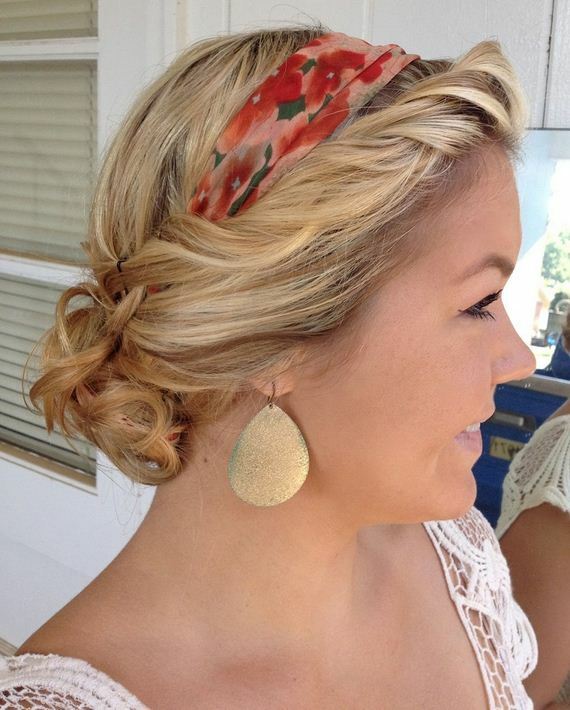 If you want to make this hairstyle even prettier, you can also curl your hair a bit. 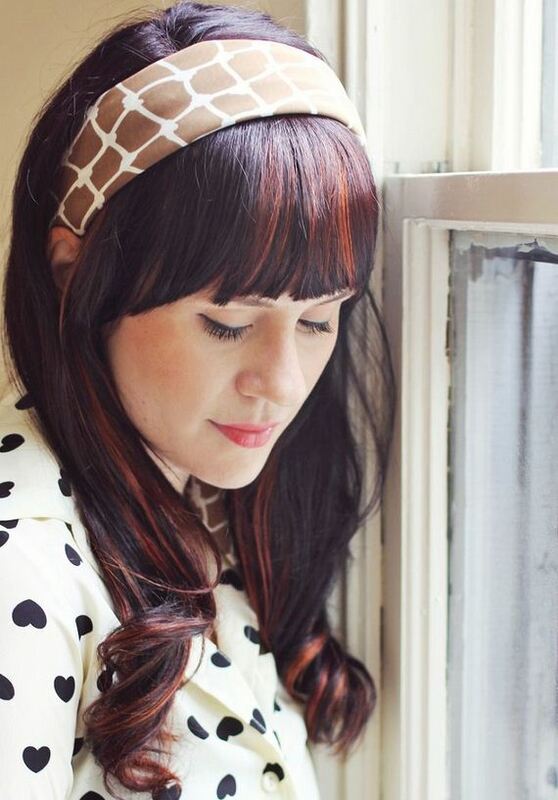 Not only this retro hairstyle is easy, but is also a great way to hide grown out roots. Lazy hair days or busy days will never have to look so dull with this adorable hairstyle. This is a very cute way to upgrade the regular French braid. The instructions are all the same, except that now you braid along with a sheer scarf, cut down to a 6 – 8 inch strip. Take a medium – sized hair section from the top of the head and pull it back. 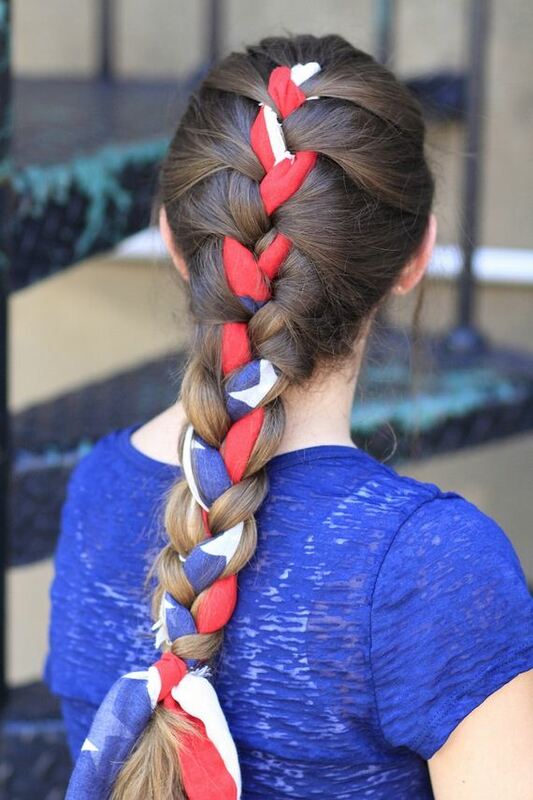 Separate it in three sections and start your French braiding. When you have no more remaining hair to continue the French braid, go on with regular three – strand braid and secure it with elastic. Tie the remaining scarf tails around the elastic in order to hide it. 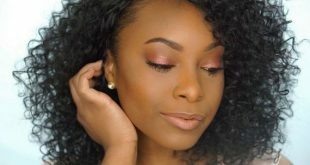 This hairstyle is a great way to refresh your hair routine! 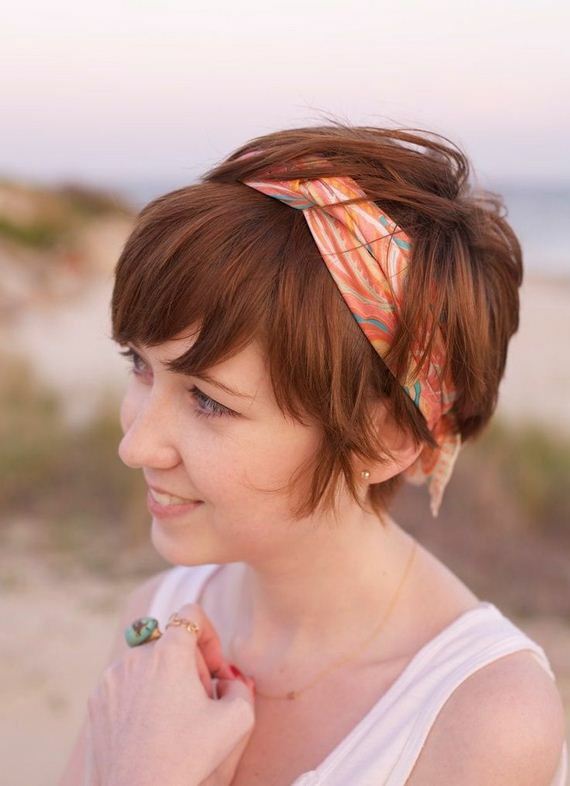 With a scarf, any boho hairstyle would look more charming than it already was. First leave out few hair sections from the front, place the scarf around your hair and make a low ponytail, of which right after make a low bun. Twist the left hair sections and tuck them into the scarf. You can loose the hairstyle a bit to achieve a better boho look. 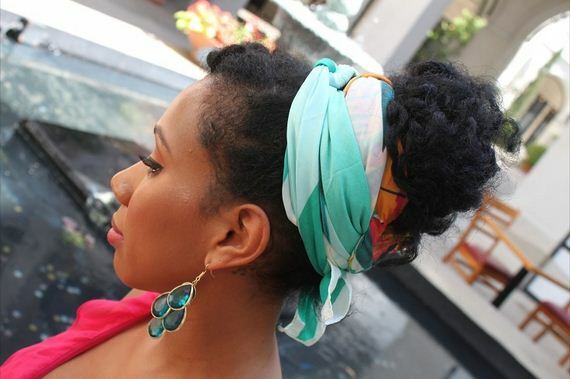 Another super easy scarf hairstyle. 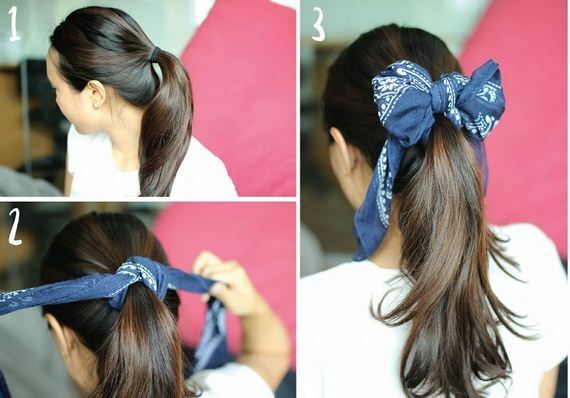 All you have to do is just do your favorite kind of hairstyle and tie a scarf around as bow. 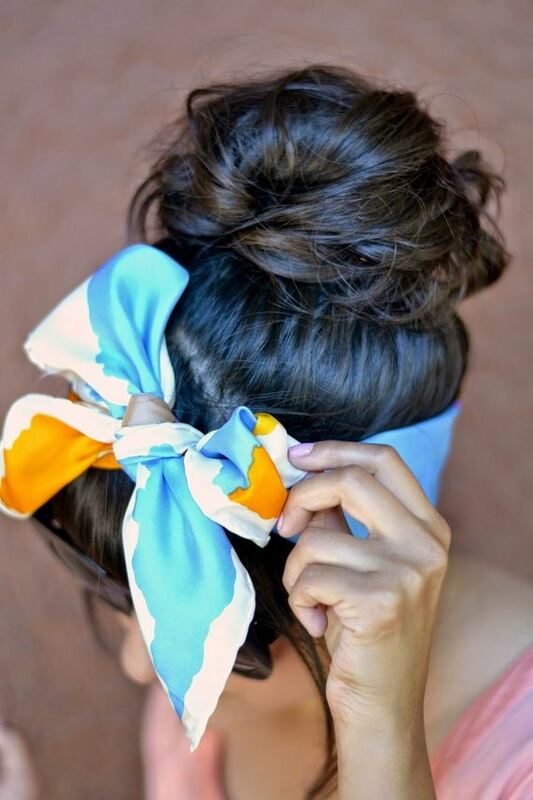 As pictured, buns go really adorable with bows, so if that’s what you want, go ahead and make a bun! But, you can come up with updo, braid, ponytail… It’s all up you! Doesn’t it just look amazing? 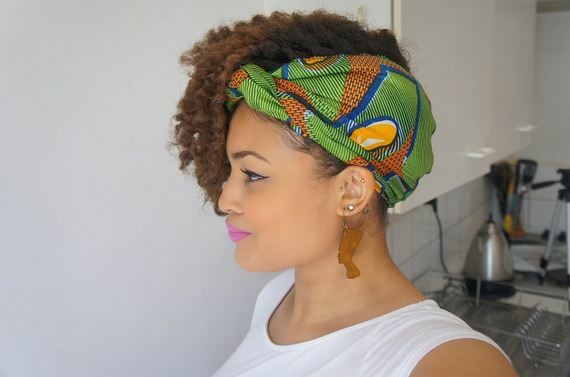 This one will surely look good on you if you have very curly hair, or voluminous. Separate your hair in two sections and tie the scarf around to make the parting look right. It will literally take you few minutes to have this hairstyle. Cute, simple and easy – just like we need it during busy days! Pixie cuts can be really though to deal with. 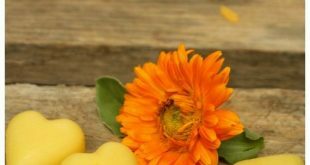 They are simple and cute, but sometimes you want something more than that and unfortunately, the hair length doesn’t leave you with too many options. However, a scarf can solve your hair problems, and in the easiest way possible. Tie the scarf around the crown, as if you were about the place an actual crown on top! Tie it well, so it doesn’t slip down or move too much. 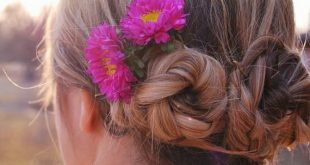 Now, this is the ultimate boho, festival hippie hairstyle. Wavy hair and a scarf is a very chic way to style your hair. Cover your head with the scarf and twist all ends to meet in the middle at the front of the forehead. Make a knot twist there and fold the ends under the twisted fabric at the front of the scarf. Yes, it takes only a minute to style the scarf and maybe few more if you want to curl your hair a bit. What can we say besides that this super cute hairstyle takes a minute or two? 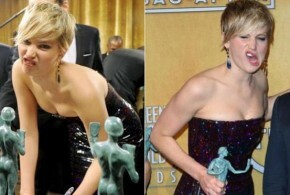 Pull your hair up, make a bun or an updo, and tie your scarf around it. This one really works good for those of you have a very voluminous or curly hair. Lazy hair days will never be the same with hairstyles like this one! 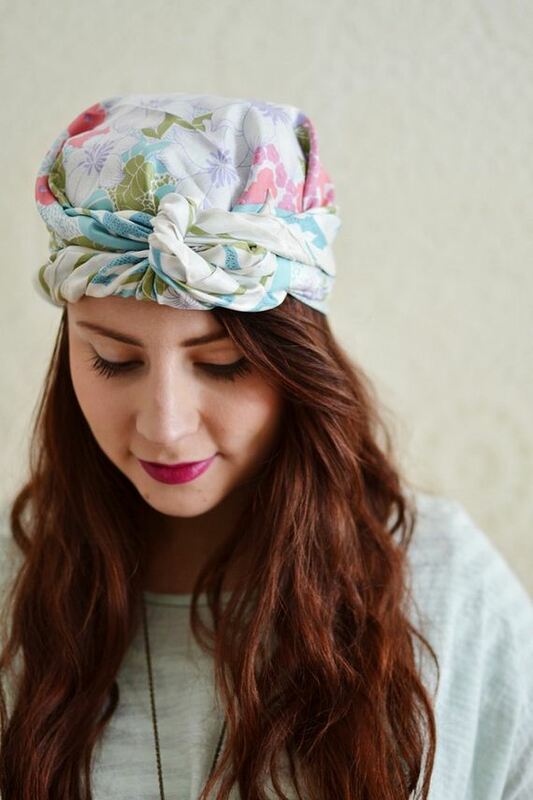 This way of styling our scarf is good for the annoying in – between hair length. Cover your head with the scarf and fold it diagonally to make a triangle. 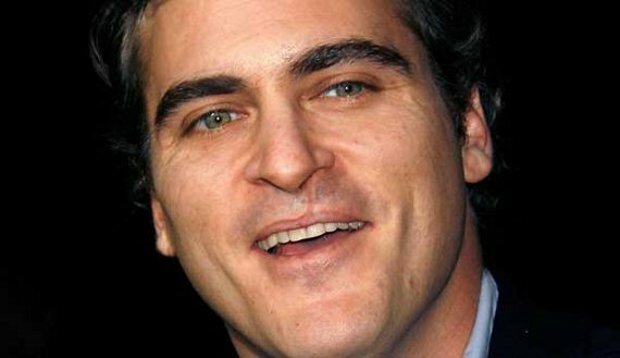 Take the longest part and put it up against your forehead. One tip should be hanging down, while bring the other two to the back and tie them. Incredibly cute! Especially if you’re dealing with a greasy hair day. The cheerleader ponytail is such a classic hairstyle. We’ve seen it like million times in movies and tv series, and no wonder when it’s such a cute hairstyle – especially if you tie a scarf around it and make a big bow! It’s that simple, really.